The senior courtyard is infested with yellow jackets, also known as the worst creature indigenous to America. They aren’t helpful to anything in any way. In fact, they are quite annoying and can be harmful to the seniors who try to enjoy their lunch in the courtyard. “I feel attacked by the yellow jackets, they’re just annoying and I don’t want to get stung.” Senior Shelby Russell commented. Unlike bees who pollinate flowers and produce honey, yellow jackets do absolutely nothing! Why are they here you might ask? It’s because you don’t clean up your trash in the senior courtyard! Clean up after yourselves and this all might go away. Then, seniors can go back to hating the sun in their eyes and the wind messing up their hair. 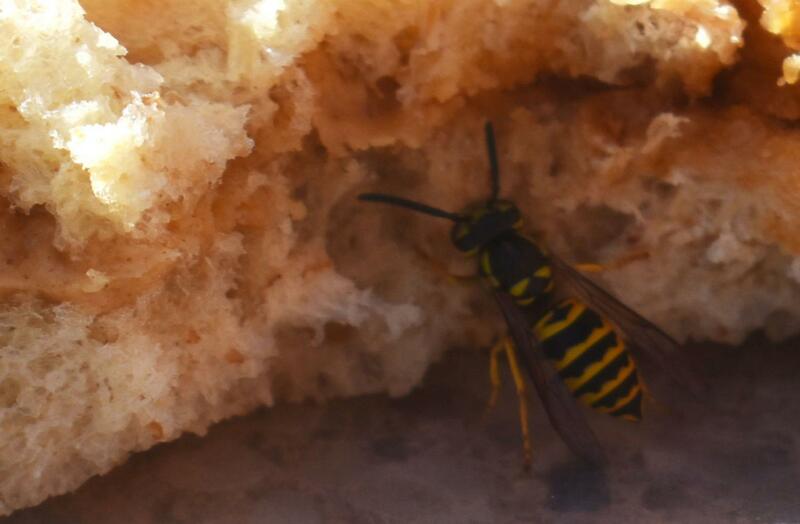 Yellow jackets are attracted to garbage and other human foods, particularly meats and sweets. They also like human flesh and will gladly sting you for no apparent reason. 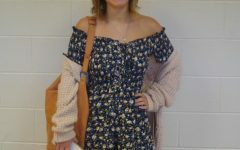 Senior Amy Rouse said, “The yellow jackets make me angry, I don’t like bees.” Apparently they smell fear and if you swat at them, they will retaliate. The best way to decrease your chances of being stung, is to withhold from using flowery scented perfumes or lotions, and refrain from wearing brightly colored clothing. Insect allergies are very common and there are many students at Riverbend who are allergic to yellow jackets and honey bees. Anaphylaxis is a severe hypersensitivity allergic reaction which can result in loss of consciousness or even death. 3.33% of adults will experience Anaphylaxis from an insect sting in their lifetime. There are between 40-100 deaths from insect-sting-related Anaphylaxis per year! The worst part about this is that only 50% of people who are severely allergic to bee stings actually know they are! “I don’t know if I’m allergic or not; I’ve never been stung before.” said Senior Laura Scarbeck. If you happen to get stung by one of these pesky yellow jackets, it can hurt very much. Symptoms of an allergic reaction include hives, swelling of the throat or tongue, difficulty breathing, and dizziness. If you do get stung, you should put an ice pack on the site of the sting and wrap it up to help reduce inflammation. You can also take an antihistamine, like Benadryl to reduce the inflammation. All types of bees and wasps will defend themselves if you try to get rid of their nests but yellow jackets are the most aggressive. Yellow jackets have a hard time seeing in the dark and the nests are usually underground, making it harder for the victim to destroy the nest and prevent further stings. “The school should hire a professional to relocate the nest,” Senior Hannah Klobenstetter remarked. In order to further reduce your chance of getting stung, you should clean up ALL of the trash in the courtyard, even the trash that gets blown away from the wind. Yellow jackets and bees are attracted to sweet things so if possible, try and avoid bringing those items to lunch, like jelly. If you follow all these instructions, you will be successful in your quest to eliminate yellow jackets.